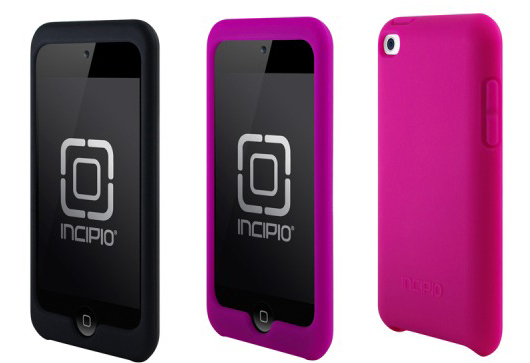 Incipio just now made available their first case for the iPod Touch 4G, the DermaSHOT. This is a simple tight fitting silicone case with a silky anti-static coating. The DermaSHOT for the iPod Touch 4G includes a video stand, dock connector port cover and a screen protector. Not a bad value for $19.99! The DermaSHOT is now shipping in black, pink and purple.